Tourists in Rotterdam can buy the Rotterdam Welcome Card for easy transport. Visiting major international cities a few times a year, that is what we like to do. We always use public transport cards. In London we use the Oyster card for example, in Singapore we use the EZ-link card. It’s not only very easy, it feels like we really live in those cities, for a short period of time. 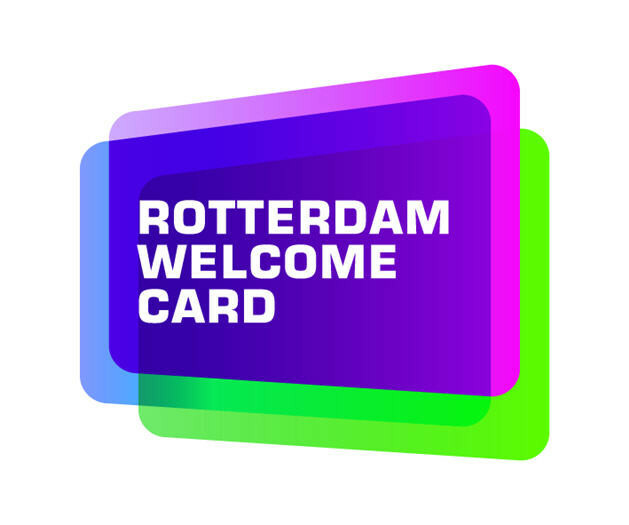 The Rotterdam Welcome Card is a chip-card for one, two or three consecutive days of unlimited travel. On all bus-, tram- and metro-lines of the RET. 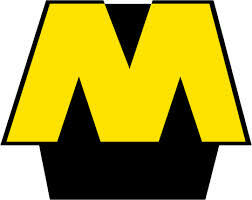 Using the card, is the same as in every other metropole. Activate it on the day, you first check in. A one-day card allows you to travel on that same day until 4 am at night. A 2-day card allows you to travel on the day it’s actually activated and the next day. A 3-day card on the day it’s activated and of course the next two days. It’s that simple. The following instructions need your special attention! Don’t forget to check in and out at any part of the ride. The card is not valid at other public transport companies. But don’t worry. In and around the city most places are easily accessible with the Rotterdam Welcome Card. So enjoy your stay. 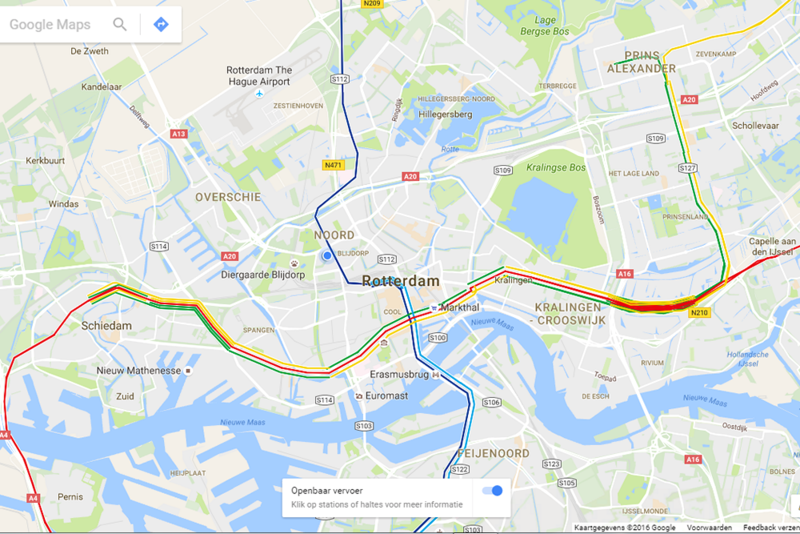 Rotterdam has a great public transport system. You easily can get all over the city by metro, tram and bus. Since 2015, Rotterdam has its own Hop-on-Hop-off bus. This red bus rides a fixed route along most of the city highlights, including the Museum Park, Euromast, Market Hall, Old Harbour and City Hall. A full tour lasts about 60 minutes. A 24-hour (unlimited use) ticket costs about 17 euros. A 48-hour (unlimited use) ticket costs about € 25 euros. Buy the Rotterdam Welcome Card online. The card comes with discount vouchers in the accompanying guide. 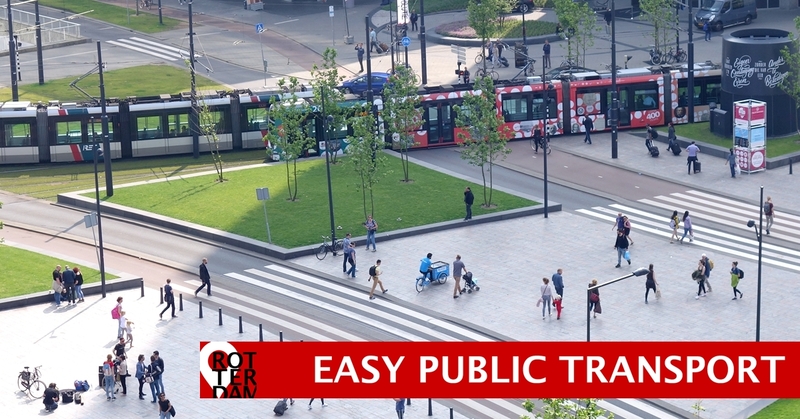 A guide that also shows how to get to the most places-of-interest by RET public transport. Buy your online tickets for the Hop-On-Hop-Off bus for a city sightseeing tour.